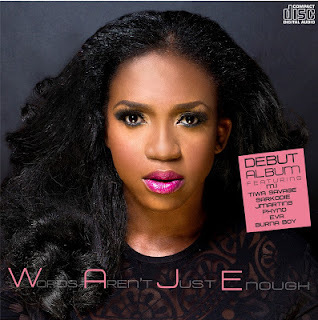 "‘I wish’ songbird and award-winning African Soul star, Waje finally drops one of Africa’s most anticipated albums, The 14 track eponymously titled W.A.J.E- Words Aren’t Just Enough. Waje has enjoyed a week of media blitz trending at No 3 on Twitter worldwide and being the first ever Nigerian artiste to be listed on the international Google + Hangout alongside the cast of ‘Fast and Furious’ Glamour Magazine and ESPN hangouts. For fans worldwide, W.A.J.E the album is available on Itunes now. DOWNLOAD HERE.